The line may seem glib, but it has serious roots. The label social media expert is being used by all and sundry just because they have used Twitter, or started a blog, or at the extreme, have a Facebook account. It’s not a title I’ve ever applied to myself, although it has been applied to me on occasion. I’m probably qualified to use it given my experience, but I have no particular interest in being a “social media expert.” I’d rather use my skills to build something quantifiable that doesn’t involve me telling others at every opportunity that I have some idea about what I’m doing. Brian Solis at Future of Influence Summit: Putting the Public Back in Public Relations! When we started organizing Future of Influence Summit, our minds turned immediately to Brian Solis, who is himself one of the most central influencers and thought leaders in this rapidly emerging space. So it’s awesome that Brian is speaking at the Summit, providing his insights on Influence at the Center of Marketing and Advertising. We weren’t the first to use the phrase ‘Future of Influence’. Most prominently Nate Elliott of Forrester wrote a report ‘The Future of Influence‘ (though you’re better off going to Future of Influence Summit than buying the report ) and has done a number of presentations on the theme. Nate’s presentation below describes the difference between what he calls ‘Classic Influentials‘ (who exert passive influence by responding to requests for information) and ‘New Influentials‘ (who exert influence by proactively giving advice). View more presentations from Web2 Expo. A key focus in this analysis is user reviews. As we get a critical mass of reviews of products and content, this becomes a better source of information to consumers. However simple recommendation behaviors, for example in Twitter, are also being aggregated to provide information that guides decisions and behaviors. One of the key themes of Future of Influence Summit, on next week in San Francisco and Sydney, is ‘business models for influence and reputation’. * Will it be possible for individuals to effectively monetize their influence and reputation? * What new mechanisms will allow people to make money from the influence? * What are business models for the measurement of influence and reputation? I recently wrote about Sponsored Tweets, which is one of a number of platforms for people to make money by tweeting sponsored messages and links. There has been extensive discussion on this concept, with a high level of polarization in the community as to whether or not this is a good idea (see for example the comments on Mashable, and thoughts from David Risley, White Hat Crew, and AdWeek). 1. People using an approved discount code get 25% off the full price of registration (US$199 in San Francisco, A$600 in Sydney). For any registrations with that code, an additional 5% of the registration fee (US$10 for US, A$30 for Australia) is paid to you (or your favourite charity). Influence research: what are the real influence networks within Twitter and social media? We continue our Influence research series, paving the way for in-depth insights and breaking new ground on the topic at Future of Influence Summit 2009 in San Francisco and Sydney. See the Future of Influence Summit blog for the full series. Earlier this year Bernardo Huberman and colleagues at HP’s Social Computing Lab did an analysis of Twitter networks, resulting in the article Social Networks that Matter: Twitter under the microscope. 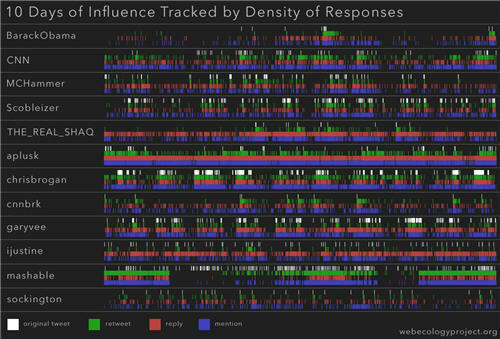 They studied a random sample of 300,000 Twitter users to gain insights into how they communicated and connected. There were a variety of insights from the research, including the relationship between Twitter activity and number of followers. This is of course hardly a surprising outcome. Having hundreds or even thousands of Twitter followers does not imply a strong relationship, just as anyone with over a thousand Facebook friends will not necessarily be influenced by all of them. Twitter has just announced the first of a series of changes to how retweeting is incorporated into the Twitter platform, called Project Retweet. 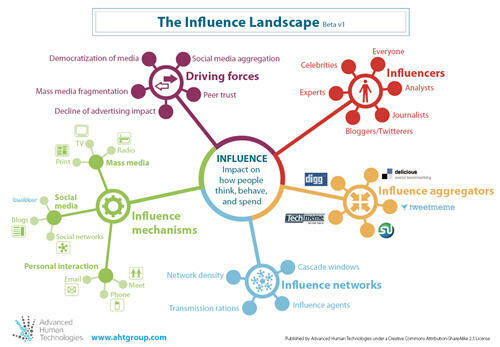 This is significant in how influencers make content popular, one of the key themes of the upcoming Future of Influence Summit. Retweeting (forwarding someone else’s tweet to all of your followers) has become central to how Twitter is used. This user-invented behavior means that Twitter has become an extremely strong amplifier of the dissemination of interesting content. It also provides a very good indication of people’s influence and credibility. While Twitter follower numbers are very crude a proxy of influence, it is far more effective to see how much people are prepared to forward someone’s messages. High follower numbers does not necessarily result in lots of (or any) Retweets. However if someone is consistently and diversely retweeted, they must be saying interesting things, or more often, pointing to interesting content. Tara Hunt “Queen of Whuffie” doing opening keynote at Future of Influence Summit SF! Awesome! Tara Hunt, renowned author of The Whuffie Factor, will be doing the opening keynote at Future of Influence Summit in San Francisco. Below is the video where I first saw Tara in action, speaking at the Web 2.0 Conference in April 2009 about The Whuffie Factor: The 5 Keys for Maxing Social Capital and Winning with Online Communities. The Whuffie Factor: The 5 Keys for Maxing Social Capital and Winning with Online Communities (Tara Hunt) from Steffan Antonas on Vimeo. For those not in the know, “whuffie” is the measure of reputation used in Cory Doctorow’s sci-fi novel Down and Out in the Magic Kingdom. Since we don’t have any other good words for describing collectively assessed reputation, whuffie has gained traction as a description of this phenomenon. In the lead-up to Social Media for Marketing: An Analysis of Digg.com Engagement and User Behavior, created by new media research company One to One Interactive. Digg was one of the first “influence aggregators”, bringing together the opinions of many to guide what content people read. In addition, the Digg ecosystem is a great example of an influence network. Research in early 2007 showed that 30 people were responsible for 30% of the stories that made the front page of Digg. 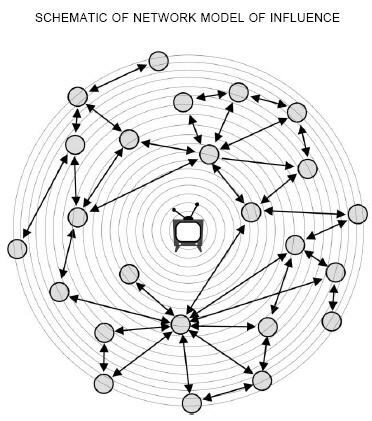 Their personal influence networks generated waves of behavior that resulted in stories becoming very popular. Today Digg’s prominence as an influence aggregator has waned relative to the growth other channels, most notably Twitter, however it is still a powerful force that concentrates vast amounts of web traffic to those stories the community push to the fore. One to One Interactive uses a proprietary methodology that uses physiological data (breath rate, galvanic skin response, heart rate) in addition to eye tracking information and self-reporting to assess engagement. They did the study on a number of respondents who visit Digg an average of twice a day to see how the engage with the site. The above diagram from the report shows part of the research that resulted in the second insight below, that headlines are the most important factor in driving attention and traffic to stories. Twitter follower numbers as a proxy of influence – what comes next in measuring influence? One of the reasons Twitter is important is that it is introducing the concept of assessing people’s degree of influence. A person’s number of Twitter followers is increasingly being taken as a proxy for their influence. If the only thing you know about someone is that they have 5,000 Twitter followers (or 50), you can make some preliminary assumptions about their influence. Of course Twitter follower numbers is a hopelessly flawed measure for many, many reasons, and pretty much everyone knows that. However it’s often all you have. At Future of Influence Summit at the end of this month many of the most prominent people in the influence space will get their heads around where the space is going. Given what I’ve been seeing and hearing over just the last few months, it is clear that an important part of this is the sweet spot where influence meets advertising. Margaret Clerkin, the head of the invention group at Mindshare, a division of WPP’s GroupM, who works with clients including Unilever and Sprint, said she wondered whether the approach would work for every category. “The theory feels strong that in this very social environment that people are influenced more by their friends than they are by advertisers and brands,” she said. She plans to test Media6Degrees and 33Across later this year. A Manifesto for the Reputation Society: it’s coming soon! One of the key themes at Future of Influence Summit 2009 on August 31 / September 1 will be the emergence of the ‘reputation economy’, and how value is being created in that space. Howard Rheingold, who has been deeply involved in this space since the 1980s, and has demonstrated his prescience by writing – among others books – Virtual Reality in 1991 and Smart Mobs in 2002, will be doing a keynote at the conference. Sponsored Tweets has just launched, providing a sophisticated pay per tweet system. Mashable has a detailed review of Sponsored Tweets, including how disclosure is handled. The Sponsored Tweets platform works by giving advertisers the ability to create campaigns and select, invite, and approve Twitterers of their choosing to participate in their sponsored campaigns. On the flip side, Twitterers can set their pay rate and find opportunities to tweet on behalf of advertisers and get paid per tweet and/or click. Of course, IZEA’s attempting to cover the disclosure and ethics and portion with their Disclosure Engine software that automatically detects whether or not the appropriate hashtag or text is included. According to IZEA’s CEO, Ted Murphy, “disclosure is systematically enforced” and adheres to FTC and WOMMA guidelines. This is the first substantive platform in what will undoubtedly become a crowded space. How prominent twitterers and their followers will respond to this is an unknown. Chris Anderson, currently most well-known for his provocative book Free, today put forward his views in yet another interview, this time with a cranky reporter from Spiegel, published under the catchy title of ‘Maybe Media Will Be a Hobby Rather than a Job’. We have already begun to discover this through the now-dominant concept of “social media”. In the Future of Media Strategic Framework that was launched for our Future of Media Summit 2006 we described the (symbiotic) relationship between Mainstream Media and Social Media. Social media is all about human relationships, about how we shape our view of the world based on our peer communication. The extraordinary breadth of information and opinion that we are exposed to today, combined with the ability to converse, means our own opinions are often driven more by peers than traditional sources. In fact this shift to the social means that media is becoming far more about peer influence than information and reporting. Influence for launching start-ups – who do you go to? One of the most important applications of influence is in launching start-ups. This is often a make or break situation – you have a great opportunity to get attention (and on the back of that revenue) when you launch a new company. If it doesn’t work and you don’t get much attention at that point, it doesn’t mean you never get another chance, but it’s going to be a lot harder when you’re yesterday’s news. The New York Times has a long feature today about PR in Silicon Valley, which has brought an extended response from Michael Arrington of TechCrunch, bringing into focus the question of who the REAL influencers are when it comes to getting word out on start-ups. Who will provide the credibility ratings for the journalists of the planet? Twitterboard – a very interesting way of aggregating Twitter conversations on a website – launched in alpha yesterday. I’ve installed it on this blog to give it a try. You should see a tab on the left hand side of the page. When you click it this will bring up the Twitter thread. I’ll give it a whirl and see how it goes. Tweetboard is a fun and engaging micro-forum type application for your website. It pulls your Twitter stream in near real-time (max 1 min delay), reformatting tweets into threaded conversations with unlimited nesting. Conversations that spun off the original conversation are also threaded in-line, giving your site visitors full perspective of what’s being discussed. The way it works is that tweets on the site are appended with posted.at/ and inreply.to/ short URLs which take people to the conversation. This means that people who see parts of the conversation on Twitter can go to the site to see a single threaded discussion. Increasingly, we primarily find content through aggregated influence. In other words, influencers use Twitter, blog, Delicious, Digg, Reddit etc. to highlight the content they find most interesting. Collectively these influencers make this content highly visible, driving at times massive traffic to articles. 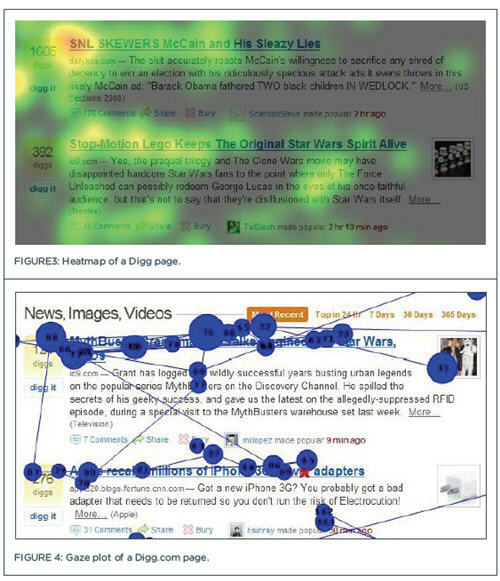 A couple of years ago I wrote about Uncovering the structure of influence and social opinion, which drew on research on how just a handful of influencers drive the content aggregation sites such as Digg, and a little later analyzed how influencers and amplifiers had helped one of my blog posts hit the front page Delicious. These topics will be covered in detail at Future of Influence Summit 2009 – details coming soon. In January the grand-daddy of the tech news aggregators, Techmeme, started accepting suggestions for stories, by people sending links on Twitter along with “tip @techmeme”. The most prominent Techmeme story suggestor has been @atul. Atul is interviewed in Success Secrets of a Top Techmeme Tipper. The entire interview is worth reading; I have picked out some of his comments on his motivations. Today we launch our Influence Landscape framework! Click on the image to download the pdf. 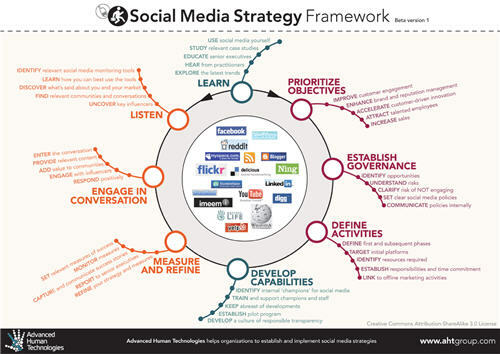 This continues our tradition of creating frameworks to elucidate where things are going, including extremely popular visuals such as Future of Media Strategic Framework, Future of the Media Lifecycle, Enterprise 2.0 Implementation Framework and many more. The Influence Landscape framework is launched in a Beta version that will be refined and developed over time, as influence is now one of our major research and content directions.